I would like to start off by introducing all of you to my favorite math tool ever! I discovered it when passing an exhibit booth at LACUE 2016 Annual Conference. My inner nerd broke through when I passed this booth with big screens displaying animated characters battling each other! I immediately stopped and said, "OK! Tell me what you have here!" Prodigy Math Game is a Pokemon-style battle game for grades 1st through 8th. 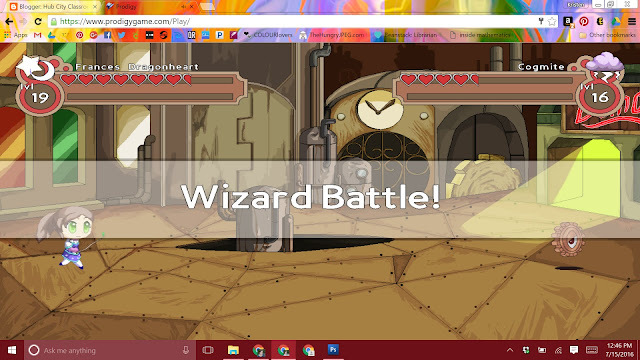 Students begin by creating an avatar and selecting a wizard name. They go on to complete a placement test first (unless the teacher overrides by selecting a particular grade-level). Once they complete the placement test, they work at their own level by continuing to battle each other, collect or buy items, capture pets, and work on special missions for the many different characters that they come across. And this is all done by answering math problems!!! 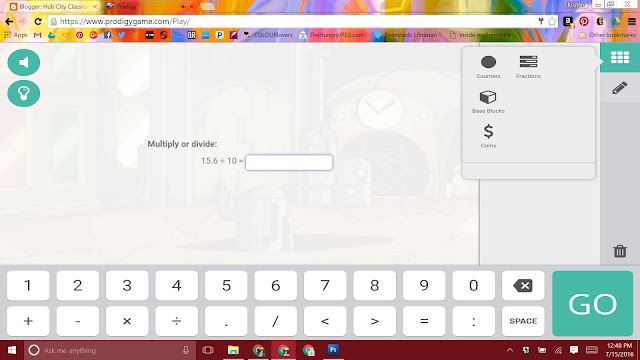 When solving the math problem, there are even optional tools on the screen to help them. These include pen tools, counters, money, base-ten blocks, and fraction bars. The more battles the students complete, the more coins and hearts they earn so it encourages them to battle instead of wandering around. Setting up your class is very similar to Google Classroom. You have a class code and students enter it to join. If students had Prodigy in their previous grade-level, no big deal! 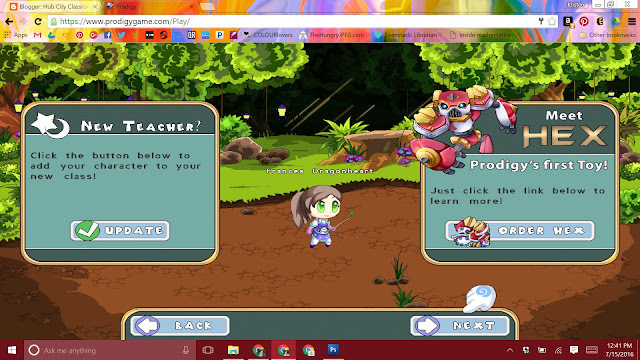 When logging in, it asks them if they have a new teacher. They just plug in that same code, and they are transferred to your class. When new student accounts are made, teachers can print out a parent letter that includes all login information and allows parents to create a parent account to also monitor their child. When logging in as a teacher, you are sent straight to your dashboard. Here you get a quick snapshot of your students' progress for the week, their placement grade-levels, and the option to add assignments or schedule a plan. Scheduling a plan is one of my favorite features! If you know that you are teaching comparing numbers for the next two weeks, you schedule that into your plans on Prodigy. On the day that you choose for the plan to begin, students will have to work on comparing numbers until they finish the corresponding assignments. It will then pick back up where they left off. An assignment is just a quick check. They are pre-made and organized by standards. The math standards included are Ontario, Common Core, TEKS and MAFS. 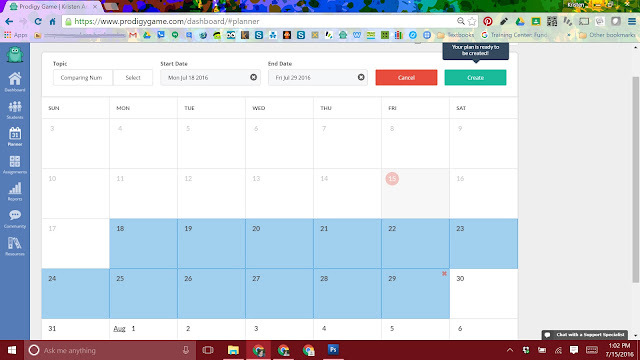 When scheduling the assignment, you have the capabilities to customize it or post as is. When customizing, you can select how many questions, which students must complete the assignment, start date, and finish date. The data at your fingertips will blow your mind! I have never known my students as well as I do now thanks to all of the reports provided. The Topic Overview report shows you the many different areas (ex. 2D shapes) that students have answered questions. When clicking an area, it gets more specific (ex. 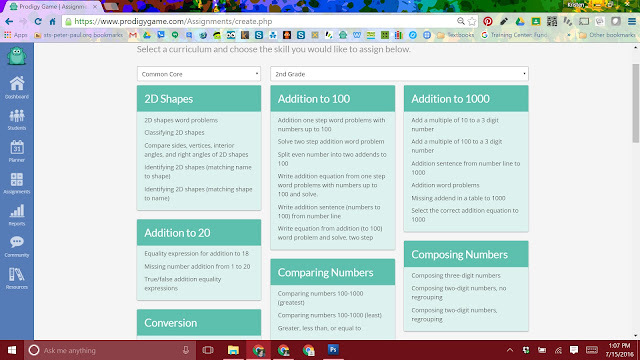 classifying 2D shapes, 2D shape word problems) and you can see a sample question, struggling students, students that have not started on the skill yet, students currently working on the skill, and those that have mastered the skill. The Usage Impact report graphs the amount of minutes each student has spent on Prodigy and the number of skills that they have mastered to better see a correlation. The Student Progress report allows you to view and print a report for each child showing the topics or strands (you choose) that he/she has completed. It gives the time spent on that topic, number of questions answered, and percentage correct which is color-coded to better pinpoint trouble areas. I LOVE this report! 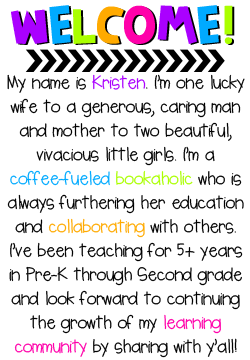 I always pull it up and print it for Parent/Teacher Conferences. 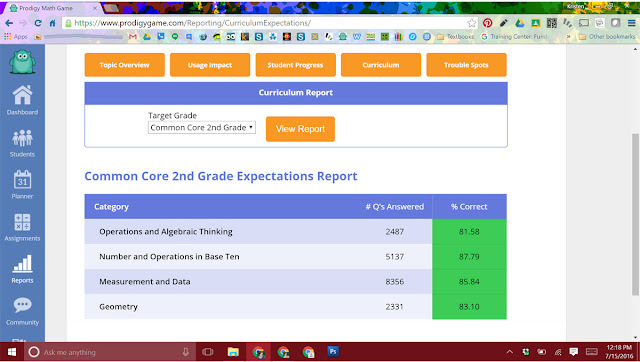 The Curriculum report (pictured below) allows you to select you target grade and you can view whole class mastery of the domains. The Trouble Spots report shows the skills that more of your students are struggling with. 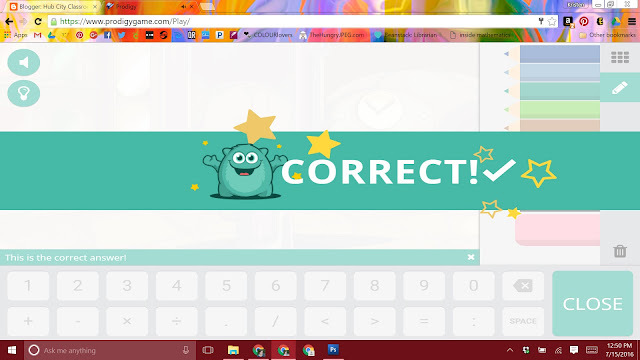 You can then select the skill, and it shows you a list of the students struggling along with the amount of questions correctly and incorrectly answered. I cannot sing its praises enough. Prodigy was a game-changer for me this school year. My students begged to play on a daily basis. They would even skip recess to stay in a play! When running for class president, most of them worked extra Prodigy time into their speeches. You will not regret checking it out! They also offer regular online training. The best part is that this is all FREE!!! And of course, here is a freebie!! 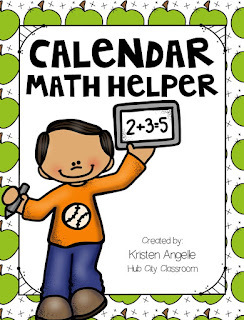 It is my Calendar Math Helper. My students keep theirs in sheet protectors to complete along with me every morning. I hope you enjoy!